Pearlynn Houck is a versatile litigator and adviser. She represents companies and executives in complex business and employment disputes and bet-the-company litigation. 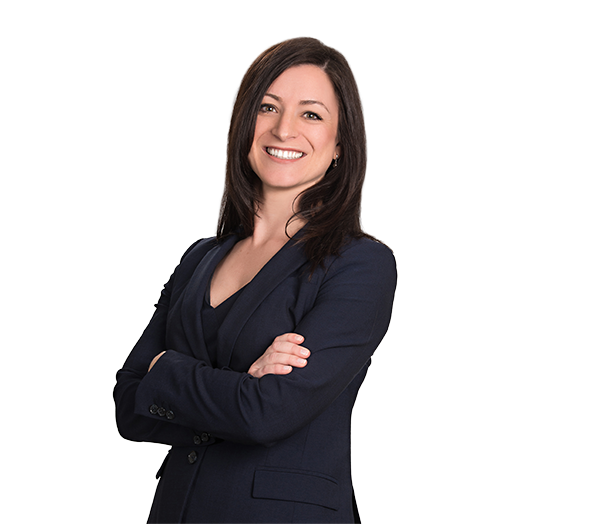 She has experience in matters involving fraud, breach of contract, unfair trade practices, financial products, securities, corporate governance, professional negligence and class actions. Pearlynn regularly represents clients in noncompetition, trade secret and other employment disputes, conducts internal investigations, and assists clients in responding to government inquiries. Pearlynn also co-chairs the firm’s Governmental and Internal Investigations practice group. Pearlynn's clients benefit from her courtroom experience. She has argued injunctions, temporary restraining orders and dispositive motions, participated in multiple jury trials and arbitrations before the Financial Industry Regulatory Authority, and litigated appeals in the North Carolina Court of Appeals and U.S. Courts of Appeals. Represents the Southeastern Conference in multidistrict litigation putative class actions filed by former student-athletes challenging the validity of NCAA grant-in-aid rules, centralized in the Northern District of California, captioned In re National Collegiate Athletic Association Athletic Grant-in-Aid Cap Antitrust Litigation and Jenkins v. NCAA, (N.D. Ca.). Serves as general counsel to the Morehead-Cain Foundation. Represents national trust company in defense of claims arising out of allegations of wrongdoing by account holder's investment adviser. Represents asset management firm in lawsuits arising out of placement agent services for an investment fund. Obtained summary judgment for national bank in defense of Sarbanes-Oxley whistleblower and other claims brought by former investment adviser. Successfully defended a national gas distributor in a case alleging unfair business practices and related claims. The case settled on very favorable terms while our client's motion for summary judgment was pending. Obtained injunction for a pharmaceutical company against defendants prohibiting them from wrongfully interfering in a pending arbitration between clients and its contract counterparty. Represents estate in a wrongful death lawsuit relating to a CO2 paintball canister that exploded and killed a 38-year-old man. Represented major financial institution, which arranged multiple financings for a defunct entity, in defending suits in New York, Los Angeles and Pittsburgh filed by bondholders, senior secured lenders, a bond trustee and a liquidating trustee in bankruptcy. Represented large commercial real estate developer in claims against architect for breach of contract resulting in two-week trial in state court. Pursued negligence, breach of contract and breach of warranty claims in jury trial against contractors and architects for faulty construction of high-end condominiums in mountain resort community. Represents worker's compensation insurance company in defense of claims of wrongful termination, securities fraud, discrimination and defamation relating to its termination of a former executive-level employee. Represented water treatment company in appeal of multimillion-dollar trial court judgment involving trade secrets, employment covenants, covenants not to solicit and other employment-related claims, including punitive damages. GE Betz, Inc. v. Conrad, et al., 752 S.E.2d 624 (N.C. Ct. App. 2013). Defeated motion for preliminary injunction against former employee of asset management firm for breach of noncompetition provisions in employment agreement. Represents executives and businesses relating to the negotiation and finalization of comprehensive executive compensation agreements, including employment contracts and severance arrangements. Represented public company sued by former executive arising from alleged promises of executive compensation and unfair trade practices. Cole v. Champion Enterprises, Inc., 496 F. Supp. 2d 613 (M.D.N.C. 2007). Represents multinational commercial and consumer products company in matters relating to grand jury subpoenas. Conducted internal investigation for committee of board of local company and represented the committee in subsequent governance dispute. Conducted internal investigations for health care provider regarding allegations of sexual harassment. Represents national broker-dealer in arbitration matters before the Financial Industry Regulatory Authority (FINRA). Represented national bank in connection with subpoenas from the Securities and Exchange Commission.